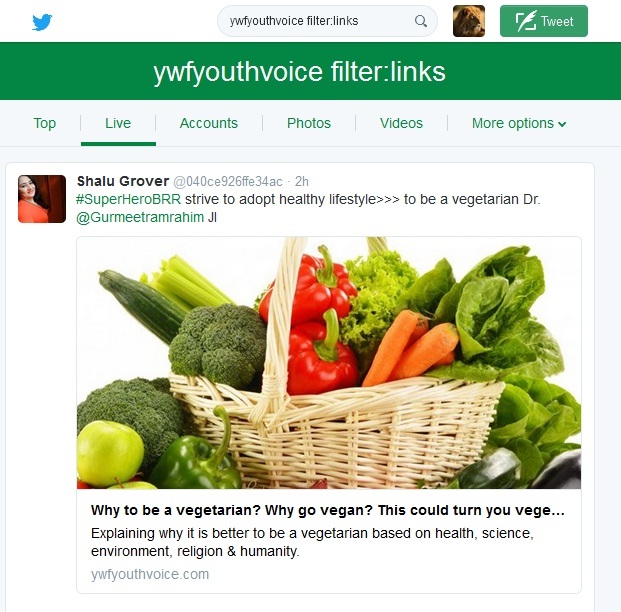 Everyone must learn these easy tricks to get better twitter search results in no time. 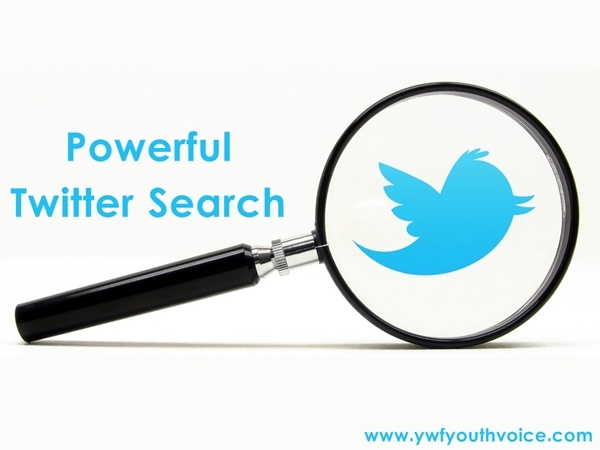 Simple tips for powerful twitter search. Sometimes you want to search a particular link, picture or video by a particular user may be but you end up without finding desired search results. 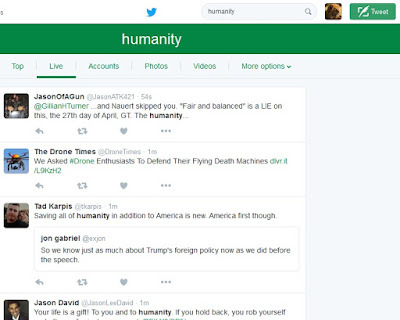 Read this post to improve your twitter search results by using simple tricks. Twitter Search Results are divided into two parts, in upper part you see a series of buttons like Top, Live, Accounts, Photos, Videos And More options, in lower section you see the results based on the algorithm selected in upper part. What are Top tweets? 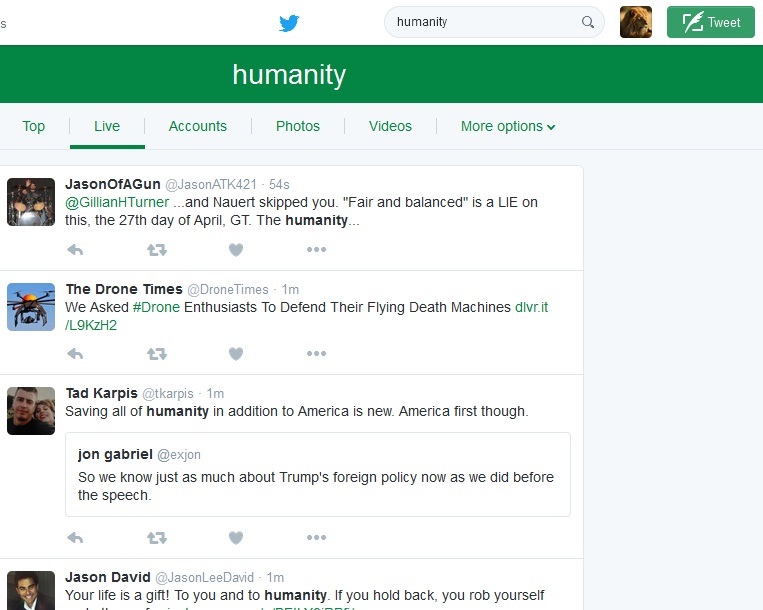 In Twitter's words, "We've built an algorithm that finds the tweets that have caught the attention of other users. 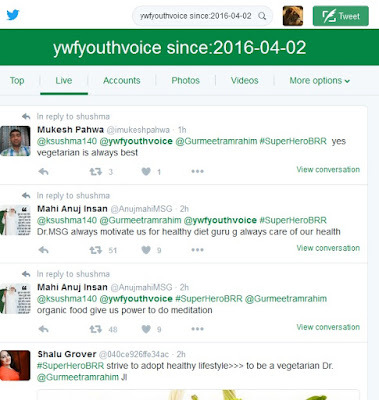 Top Tweets will refresh automatically and are surfaced for popularly retweeted subjects based on this algorithm. We do not hand-select Top Tweets." For this reason, if you're looking for an at-a-glance look at a topic, Top Tweets is the way to go. If you're carrying out a more stringent search, be sure to click "Live"
You can look for tweets that come from or are near to a certain location or city. 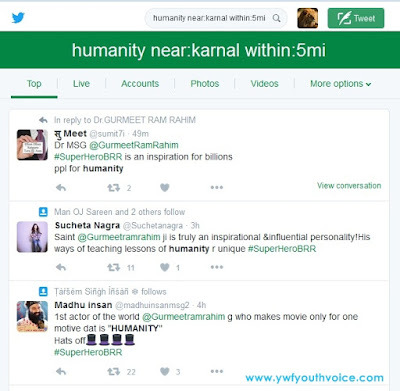 Type near:CityName within:5mi to return tweets sent within five miles of the "CityName" City, as in above example results are shown for Karnal City. If you want to see only those tweets which contain links, add "filter:links" to your search phrase. If you want to look up results based on a sentiment, simply add :) or :( to your search. Similarly, you can look for tweets containing a question by adding a question mark to your search query. 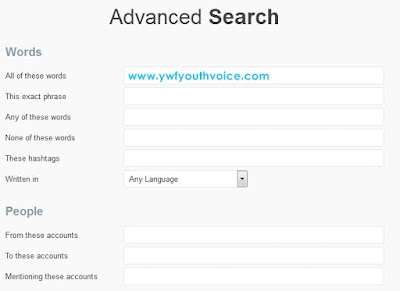 If you want to search tweets by a certain user just add from:username with your search phrase. 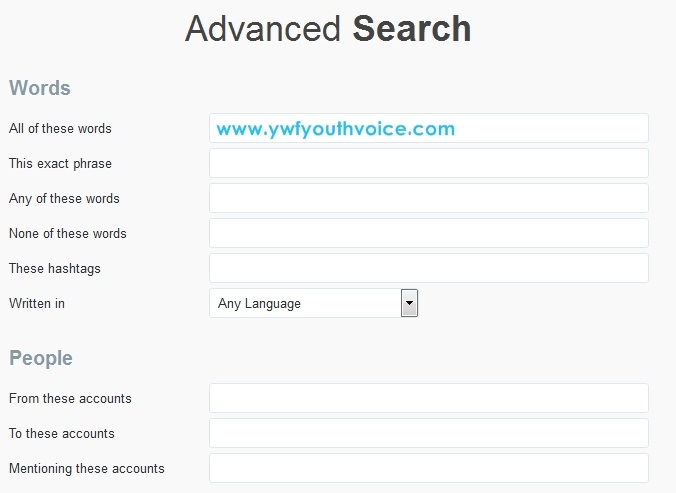 Simply add since:yyyy-mm-dd, until:yyyy-mm-dd or you can use both of them together with your search phrase. 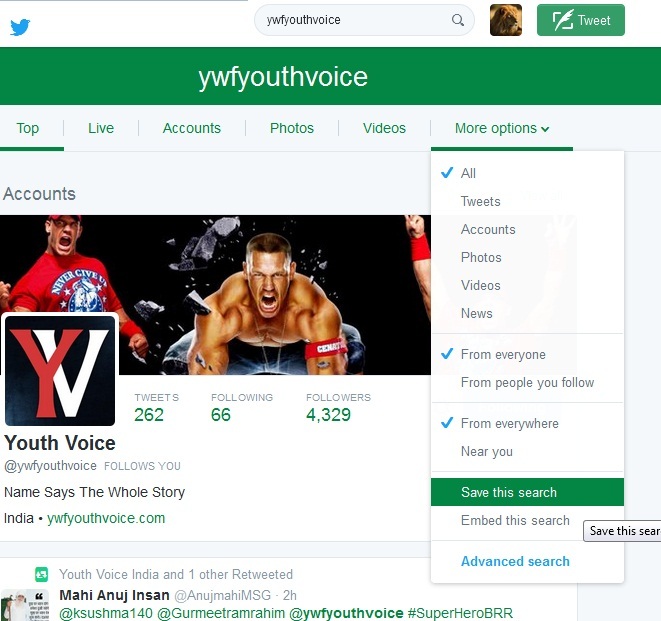 You can save up to 25 searches on Twitter, click save search as shown in screenshot above. 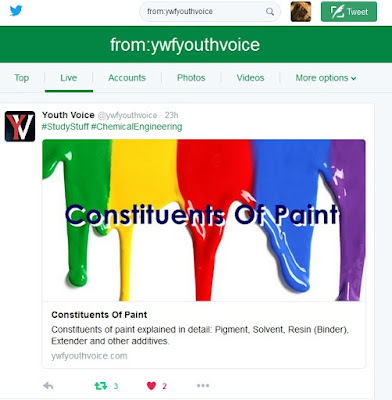 Tweets sent to @ywfyouthvoice but not containing any links. 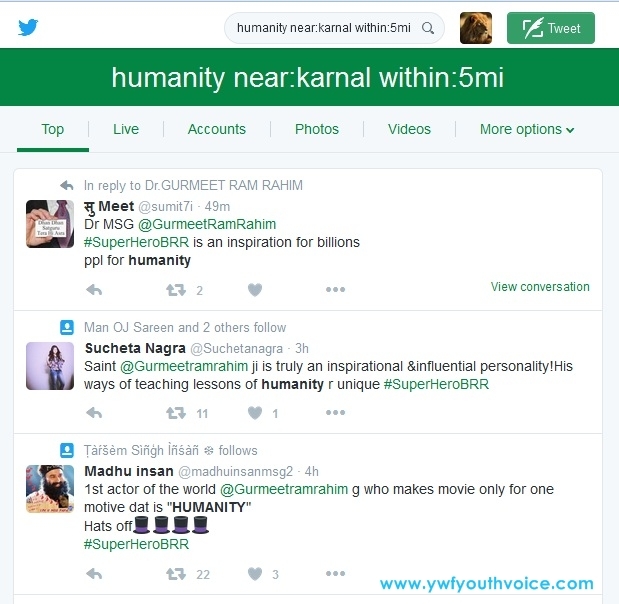 Search for "humanity" in tweets by the users present in "msg-supporters" list created by iamyudhvir. Tweets containing YouTube videos that are favorited by at least 50 users. Tweets containing humanity that have been retweeted at least 100 times. Show tweets for a particular hashtag but containing images. 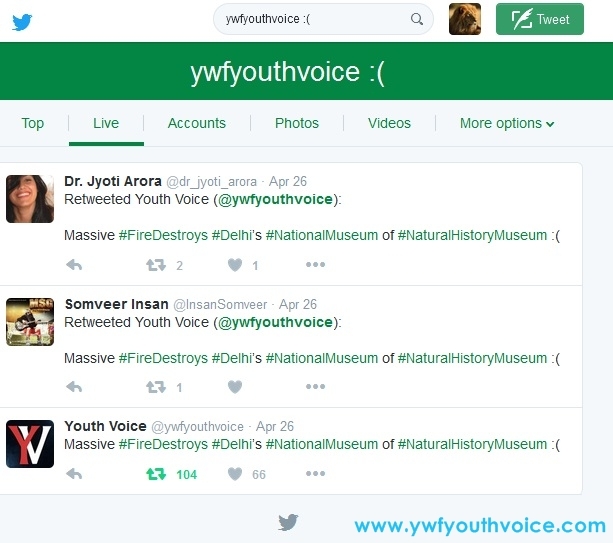 Show only tweets that mention a keyword and contain links to news websites. Tweets from user @iamyudhvir mentioning user @iquillwarrior but exclude retweets. Finally, if you don't think you'll remember all the search operators, there's an easy solution, you can simply use twitter's advance search where many of the operators are already present (but not all operators). In upper part of search results, click more options and choose advanced search to open Twitter's Advanced Search. You can also bookmark this page. If you know any other cool operators, feel free to share with us in the comment section below.